One story home that is very open!! You will love this floor plan! You enter the foyer to the great room and dining room. Kitchen is open with a breakfast area. Flex space off the great room which could be a nice office, playroom or 5th bedroom. Very large master has a room off of it that has a outside entry door as well. Perfect nursery, media room, office,mother-in-law suite or a bedroom. This room is really spacious and has all possibilities. The room vaults with a big window and overlooks the pond. The spacious window in the great room also has views of the landscaped yard, pond and canal. Kitchen has an island, lots of cabinets, new Frigidaire smooth top range, new microwave, Maytag dishwasher 1 yr old, fridge & a ceramic double sink. The great room and dining room are freshly painted & offer 12 ft. ceilings, and crown molding. Hardwoods throughout. All 3 baths have been remodeled. Master has a separate shower, new vanity, and garden tub. 2nd bath has a new vanity. All 3 have tile floors. The views from windows are beautiful including landscaping with a Bradford pear, Japanese maples, 2 sago palms, fig tree, 3 crepe myrtles, and a live oak! Two patios for entertaining. Storage in two separate attic spaces, utility sink, irrigation system, GR, Kitchen and first bedroom wired for surround sound. Conveniently located near the hospital, doctors, restaurants, mall, grocery store, interstate and shopping. This neighborhood is very appealing as there are lots of trees and flowers. This home backs up to a beautiful common area green space and is buffered by trees. If you enjoy nature, you will love the deer, birds & wildlife. If you do not fence it, you have the largest backyard view in the Elms. Owners have planted yellow & red roses, elephant ear, lantana, palm trees, & various other flowers. Kitchen is bright and cheerful with two pantries, eat-in area, double stainless sink, island with pendant lighting, oak cabinets, recessed lights and all appliances convey including washer, dryer & fridge!! Living/dining combo is a large space and owners added Smokey maple laminate flooring in all main rooms. Crown molding & chair railing are some of the upgrades. Blinds, drapes, & hall shower curtain all convey. Ceiling fans in living room, bedrooms and sun room. Sun room is not in the sq. footage, but there is a free standing air conditioner and heater. Free standing fireplace also conveys and they said they do not even need the heater when they use it. Master has two walk-in closets and other bedroom also has a walk-in. The master bath has a walk-in over sized shower and solid surface counter top. The garage floors were just painted and features extra shelving. Enjoy the beautiful patio or sitting in the yard. Social life abounds with a pool, social calendar, club house, tennis, library, pool table, exercise room, & excursions with the other residents in the van they have. You do not want to miss this one! Welcome to one of Foxbank Plantation's most upgraded homes. This David Weekley home has been meticulously cared for and is in mint condition. Why wait on a new build when you can have this immediately? The floor plan will work for anyone. The first floor is very open and includes, 3 bedrooms (including the master), an incredible gourmet chef's kitchen, sitting room at the front of the house, large laundry room,mud room, breakfast nook with custom benches, formal dining room, and a beautiful living room open to the kitchen. The second floor can serve as a large bonus room or a fourth bedroom, including a full bath. It also provides lots of storage in the attic spaces. This house is perfect for entertaining and is already wired for surround sound. The master bedroom is stunning. It is very large and features a gorgeous master bath with a standup shower and large soaking tub. The tile work is exemplary. There is also a massive walk in closet. Heading outside you have a peaceful screened porch for relaxing and a large well kept backyard with a new utility shed. This house can be eligible for up to 1% of the loan amount cash back toward closing costs (max $3000). Ask me how! Located in an amazing location behind a a shopping center. Walking distance to a major grocery store, shopping, restaurants, banks, Starbucks, and a Church. Very convenient to I-526. If you work and need quick access you will like living in This area as an easy commute. 3 spacious bedrooms & 2 Baths with a 1 car garage! Hard to find! Custom condo has crown molding, 4' baseboards, window casing trim & smooth 9' ceilings.Freshly painted inside. Hardwood in the Great room, tile in kitchen & baths & new carpet in all bedrooms. Kitchen offers granite counter tops, maple cabinets, stainless GE appliances that includes a spacemaker microwave,DW,smooth top stove, & a double door refrigerator. Bathrooms have marble counter tops. One bath offers a walk in shower & the other has a garden tub. Enjoy relaxing on your deck or take a walk by the grand oaks that grace the property. Located on 2nd floor but is a 1 story end init. Ceiling fans in all main rooms & on the deck. Open ranch floor plan!! Great room has vaulted ceiling, ceiling fan & a wood burning fireplace. Great room opens up to the kitchen that has new granite counter tops, Maytag stainless dishwasher, Samsung microwave, Samsung stainless smooth top stove with a confection oven-all under 3 years old. Eat in kitchen offers lots of natural light from the transom window. Home is freshly painted and shows like a model. There are whitewash hardwood floors throughout. Master bedroom is vaulted. Master bath has a garden tub, all new fixtures, new mirror and a double sink. Baths and laundry room are tiled. Enjoy the screened porch! Yard is nice with a side view of a lagoon. 2 car garage. Roof replaced in 2013 and air conditioner replaced in 2014.Water heater is new. The thermostat is programmable and can be reset from your phone. You can get to the elementary school in 5 min. Location, Location, Location! This townhome at Carolina Walk offers low maintenance, luxury living while being in the heart of Mount Pleasant. Located just steps away from the Towne Centre, you can walk to a plethora of restaurants, shops, and the movie theater! You are also just 8 miles from downtown, 3.5 miles to the Isle of Palms Beach, and have quick access to I-526, Hwy 17, and I-26. This townhome is an Avondale floor plan, featuring a features a sunroom and screen porch off of the first floor, a sitting room off of the Owner's Suite, & an elevator shaft. Open kitchen with large center island, stainless appliances, granite in kitchen & baths, wood floors throughout first floor, satin nickel finishes, & much more! Natural Gas Community. Proposed Construction. GREAT LOCATION!SUPER SCHOOL DISTRICT! HOME IS RECENTLY UPDATED!FENCED BACKYARD ON THE MARSH & GREAT WILDLIFE VIEWS FROM THE SCREENED PORCH! NEW CARPETING! NEW VINYL! NEW HEAT PUMP!NEW HARDWOOD!EXTERIOR RECENTLY PAINTED! TWO CAR GARAGE WITH OPENER!LOVELY STONE FIREPLACE! HIS & HER CLOSETS IN LARGE MASTER!PLANTATION SHUTTERS! GREAT LOCATION TO SCHOOLS & SHOPPING!!! ​Former model townhouse with many extras!! Spacious end unit with master bedroom downstairs and double garage. Corner lot with beautiful side yard. Gleaming oak wood floors greet you as you enter the foyer and continue into the kitchen, dining room, halls, and half bath. Gorgeous gourmet kitchen with can lighting, granite countertops, tile backsplash, stainless appliances, upgraded maple cabinets with revolving corners and drawer pull outs. Cabinets also feature crown molding and under-counter lighting. The Whirlpool dishwasher is new. The double stainless refrigerator conveys. The faucets are new and it is a double stainless sink. Also on the first floor is a study that could be used for a breakfast nook as it is right off the kitchen. This room has built-in shelves and cabinets. Great Room has a beautiful marble hearth fireplace with gas logs and a custom mantle. The great room also has custom built-in cabinets and bookshelves. Separate dining room has a beautiful chandelier but if you prefer something else, owner will replace it with your choice up to its original value. The dining room will accommodate a large table. It has upgraded crown molding and chair rail. Separate laundry room with cabinets. Large master bedroom with his/her closets and large bath with jetted tub, separate vanities/sinks, large tiled shower and a water closet. The sunroom is enclosed and is not in the square footage. It measures 152.50 sq. ft. Very easy to add air conditioner and heat. However, you can leave the door open and it flows with the rest of the house. Upstairs are two large bedrooms with a jack-and-jill bath and a flex room which makes the 4th bedroom, now used as an office. There are plantation blinds to all windows and doors throughout the home and window treatment downstairs. The air conditioning/heater is a split unit. The gas heater is located in the upstairs storage room and the air conditioner is a new 17 seer 4 ton Carrier unit located outside. This is truly a nice home and well taken care of. Easy to show! Location is wonderful!! Very easy access to I-526 and easy drive to Boeing, Downtown or shopping in Mt Pleasant. Walking distance to restaurants, major grocery store & retail shops. Very nice 2 BR, 2 Bath condo on 1st floor. No stairs! Kitchen has a pantry, maple cabinets,stainless refrigerator, and granite counter tops . There is an island that separates the living area. Nice ceiling fans & 9 ft smooth ceilings. Master has 2 large closets. Master bath has a tub and 2nd bath has a walk-in shower. Doors are wide for easy access. Relax and enjoy the large front porch or take a walk in the green space by the grand oaks that grace the property.If square footage or schools are importan, buyer needs to verify. Well cared for home in popular Park West.Great spacious floor plan with tons of natural light with windows throughout. High ceilings. Working fireplace in living area. Freshly painted. Screened porch at back with wooden swing included, leading on to a cement patio for your fire pit. Great closet space coupled with attic storage above garage. 2 car garage and long driveway with room for 4 more cars. Close to schools and all amenities that Park West offers. ​This is a well cared for home has a wonderful floor plan!! Every room is large!! Entry Foyer is wide and opens to a great room. There is a free standing fireplace that conveys. Separate dining room has a beautiful chandelier that conveys! Hardwood in the dining, great room and foyer. Large kitchen with loads of cabinets(white). There is a breakfast area and a pantry. New tile floors throughout the kitchen and breakfast area. Kitchen has lots of recessed lighting, gas stove, Silestone counter tops and double stainless sink. The stainless refrigerator conveys. Master bedroom will hold your large furniture. The master bath has a separate shower, jetted tub, walk in closet, a sink and a vanity. Vinyl flooring in all the baths and the laundry room. Upstairs is a large man cave or loft which is flex space for a possible 4th bedroom,two more spacious bedrooms and a full bath off the hall. The loft could be made into a 4th bedroom. There is an attic, walk in closet in 2nd bedroom, and extra storage closet. 9 foot ceilings and wide baseboards. There is an alarm system. The backyard is nice with full privacy fence and a patio for grilling. Heat is gas. Satellite dish conveys. Energy Star windows. Fire station being built in neighborhood. New school is approved for the neighborhood 2018. Picnic area/pavilion by pool, lake with 70 plus acres- fish, kayak, or canoe, playground. New gym going in space front of neighborhood and small shops. 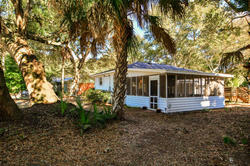 River access is 5 miles away, Cypress Gardens is close, and boat storage near by. ​This inviting traditional style home is located on a cul-de-sac in a quiet neighborhood. The property is on a private pond site with a large back yard and well landscaped front yard. The two-car garage gives you plenty of space for parking and storage. The full front porch is a great place for your rocking chairs. Inside you will find tons of upgrades, including: new appliances, new carpet, tile, granite, and premium laminate flooring. You will also find beautiful designer features, such as lighting and custom paint colors, throughout! Enjoy cool evenings in front of the cozy gas fireplace. The neighborhood features an amazing pool and play areas for children. Located in the desirable Dorchester 2 School District. Also, conveniently located near shopping and dining. Come see your new home, today! ​Beautiful large brick ranch. Conveniently located - close to I-26, very close to Boeing, Northwoods Mall, Restaurants, shopping, and the new Velocity jumping Gym! Well maintained and updated with a beautifully landscaped yard. You enter a nice foyer with parquet flooring, living/dining room combo trimmed out with crown molding. There is a den, very large family room and a sun room! !The family room and sun room have lots of windows for natural light! Family room has custom blinds and valances, recessed lights, and a vaulted ceiling. Ceiling fans in the den and sun room. Kitchen is full of upgrades-quartz counter tops, custom golden oak cabinets with pull-outs, laminate wood flooring, back splash, stainless sink sink, under mount lighting, almond double refrigerator,almond electric stove, Kitchenaide upgraded black dishwasher with stainless inside, separate microwave, garbage disposal and a custom pantry. Separate laundry room with an extra pantry. Master bath has cultured marble vanity, cultured granite counter top, comfort height toilet, walk in shower, and new fixtures. Hall bath has quartz counter tops with porcelain sink and a comfort height toilet. Carport and 1 1/2 car garage with loads of storage and shelving. Pull down attic with aluminum stairs,vinyl soffitts, sprinkler system and a drip system, gutters, new double pane windows, Huge workshop with a/c and heat and electric and a shed. There is lots of room for extra parking.The water heater and the heat is natural gas. Architectural shingles on the roof. 1997 is when they built the addition. You could make the sun room a bedroom if you need a 4th bedroom. This home comes with a AHS Shield Essential warranty. In the neighborhood there is a North Charleston park called Northwoods Community Center which offers a pool, lake for fishing, ball park and basketball court. Easy to Show! 302 JANE ST, GOOSE CREEK, SC SOLDAbsolutely adorable! Seller offering 12 month AHS home warranty! New roof installed 2014! Gas HVAC unit installed 2008! 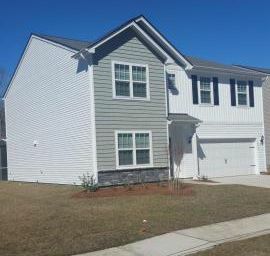 Welcome home to 302 Jane Street in Goose Creek! Original hardwood floors blankets the main living area and bedrooms and have been completely refinished. The bathroom was remodeled in 2011 removing the old tile and giving it a fresh new look. The bedrooms are spacious and inviting. The kitchen had new vinyl added and a gas range. The garage was enclosed in 2014 and features a large family room. Engineered flooring was added to give the space a distinctive look. Outside, enjoy family gatherings in your spacious backyard offering plenty of room for guest and kids to play. The backyard also has a 6 foot privacy fence. This home is perfect as a starter home or looking to downsize. Conveniently located to restaurants, shopping, I-26, and downtown Charleston! Enjoy close proximity to the Isle of Palms Marina and the beach in this well maintained custom home in the desirable Wildwood neighborhood on the Isle of Palms. Great open floor plan, Master bedroom on the first floor, nice kitchen with lots of cabinetry, exquisite countertops with an attached breakfast bar. Sunroom provides a nice setting for entertaining with a wonderful flow from the kitchen to the Great room/Dining room. The bedrooms are quite generous in size with a finished FROG that could be a studio, office, etc. The house has lovely landscaping with beautiful trees, azaleas, and more. This home has the potential for an ideal primary residence or exceptional second home. This home has a newly installed HVAC system. Katherine floor plan built by Jessco Homes. Cute one story ranch home in a very convenient area. Vaulted ceiling in the great room. Open floor plan with kitchen open to breakfast/dining area. Maple cabinets are in the kitchen, a double stainless sink, and white double refrigerator which conveys.Blinds installed throughout. New light fixtures in dining and hallway. Sprinkler system with four zones.Gutter installed on left side of home. Shed was custom built in 2006.The interior will be freshly painted once the home is sold before closing. New Carpet was installed in 2014 after the pics were taken. 2-10 home warranty for the buyer! !Great price! ​The Crescent floorplan has an open concept that is great for one story family living. Greet your guests in style with the Hardwood Floor Foyer. Kitchen features include 36'' Maple cabinets with crown molding and knobs, recessed can lights, and Moen pull out faucet. Full Appliance Package that includes electric range, microwave oven with direct outside vent, side by side refrigerator with outside water/ice dispenser, dishwasher and disposal. You can be in the kitchen while conversing with guests in the Family Room or Dining Room. Master Suite is tucked away for privacy with a large walk in closet. Main living area and Master suite have vaulted ceilings giving the home a spacious open feel. Off the family room is a covered screened in patio! All bedrooms are pre-wired for cable and ceiling fan. The Master Bedroom and Family Room include ceiling fans, and pre-wire for cable and phone! Master Bath has dual sinks, large stand alone shower and with walk in closet. Seagull Antique Brushed Nickel lighting fixtures in Foyer, Eat-in Nook, and all baths are all included. Plus, garage door opener with 2 remotes! Full landscape package includes lush plant package and grass front, sides & back. 13 SEER energy efficient heating and air conditioning system and programmable thermostats are included. The Jacob's Cove Community has 3 Ponds and sidewalks on BOTH sides of the street. It is a quaint community of only 55 homes. ​Beautiful spacious home in Ashley Square! This home features a wonderful open floor plan. The spacious great room which features soaring ceilings and a dramatic fireplace is the perfect place to spend time with loved ones. The gorgeous loft which overlooks the great room will be the perfect dreamy office. This space has 3 large storage closets and a large window for lots of natural light. The dining areas feature 18 inch ceramic tiles in a brick pattern. The ceramic tile leads from the dining area to the spacious kitchen. This home also features bronze ceiling fans and light fixtures. A French door leading out to the screened porch retreat lets plenty of light into the home. From the screened porch, you can head out to the deck and Jacuzzi area! The beautiful master bedroom features a walk in closet. Just off the master bedroom is the master bath which features ceramic time, a roomy garden tub, a large rain shower head, and framed mirror. This home has two beautifully carpeted bedrooms that feature nice size closets. The hall bath is complete with lovely ceramic tile and framed mirror. This home is the perfect gem for the family that wants to be close to everything including Berkeley County schools. Best value for a renovated house in Windsor Hill! Affordable ranch on fenced-in yard in Dorchester II school district. This beautifully remodeled home boasts lots of up-grades featuring NEW GRANITE kitchen counter tops, NEW Tile in kitchen and bathroom, NEW APPLIANCES, NEW WINDOWS with lifetime transferable warranty that even covers breakage, NEW WOOD FLOORS, new carpet in bedrooms, new lighting and plumbing fixtures throughout home, new Sherwin Williams paint throughout and more. Located close to schools, shopping, Boeing, Bosch, Charleston AFB and the airport. Don't miss out on this one! Lease option or owner financing possible. Buyer to verify all pertinent information; including but not limited to, square footage and school system/districts. Beautiful two story home located on a culdesac. Very open floor plan has 9' ceilings. The kitchen is very open to the breakfast area, great room and sunroom. Kitchen has a stainless gas self cleaning stove for those that love to cook! You will really enjoy entertaining your guest as there is a large granite island with a bar top for extra seating!! This home has many upgrades! The cabinets are all upgraded. GE stainless appliances include a Space maker microwave and a dishwasher. The sink is Stainless. 4 can lights just add to the natural sunlight from the windows. Hardwood floors are beautiful and are throughout the downstairs. Upstairs is the large master bedroom with a spacious walk in closet, two secondary bedrooms and a loft! If you enjoy taking a walk you will love the natural walking path that is at the end of the culdesac. You can also enjoy the 10X12 concrete patio for your cookouts. You have a 10 year structural warranty. THE PERFECT COTTAGE FOR THE DOWNSIZER OR THE FIRST TIME HOMEBUYER! CUTE HOME FEATURES A WRAP AROUND FIREPLACE, VAULTED CEILINGS AND ALL THIS ON A CULDESAC TOO! THIS CHARMING HOME FEATURES TWO NICELY SIZED BEDROOMS AND TWO FULL BATHS. THE KITCHEN HAS A LARGE AMOUNT OF CABINET SPACE AND ALSO INCLUDES THE LAUNDRY ROOM AREA. A NICE PATIO OUT BACK IS GREAT FOR ENTERTAINING YOUR GUESTS AND THE SPACIOUS, WOODED BACKYARD GIVES YOU PLENTY OF THAT MUCH NEEDED PRIVACY. THE HOME FEATURES A NEWER ROOF(2YEARS OLD) AND NEWER HVAC, 3 YEARS OLD. HOME HAS BEEN LOVINGLY MAINTAINED BY THE OWNER AND IT SHOWS! THE DRIVEWAY ALSO FEATURES AN EXTRA PAD FOR ADDITIONAL PARKING. SUMMERVILLE PLACE IS CENTRALLY LOCATED, MINUTES FROM THE INTERSTATE AND MINUTES FROM DOWNTOWN SUMMERVILLE. DON'T MISS OUT ON THIS ONE! It’s the gorgeous ranch style home you’ve always wanted! Come and see this captivating remodeled 4 bedroom home with all new flooring that highlights this open floor plan. The fireplace is inviting and so is the unique built in bar in the living room. Wake up each morning and have breakfast or coffee in your sunroom or use it as a screen porch. This open breathtaking kitchen has new stainless steel appliances, granite counter tops, and a subway tile back splash. Large back yard with fire-pit included. Your situated in the growing area of Nexton just minutes from local attractions, shopping and restaurants. Beautiful parks being built in Nexton that will have free-wifi. This is the ideal buyer’s dream. This property is only available to the buyer who acts Now! IThe Wilson Plan is approximately 1699 square feet and is a 2 story 3 bedroom home with 2.5 baths and a 2 car garage. With our extensive list of available options, you may personalize this home to make it your own! Elevations (front of the homes) may vary from the photo depicted. Choose your own elevation based on your personal taste - a beautiful stone water table, an appealing roof line, various porch layouts. This home is constructed with eco-friendly building practices and materials that reduce your home's environmental impact AND monthly energy bills. Affordable brick home near schools, shopping, and restaurants. This 3 Bedroom 1 Bath home is located in the Boulder Bluff Subdivision. Great investment property for first time homeowner! Check out the large shaded lot w/ a fenced-in area for children/pets. This well-maintained 3BR/2.5 bath home is in the established community of Irongate with lots of mature trees, and sidewalks throughout. Enjoy the neighborhood swimming pool and rec area with new playground equipment which connects to 6.1 miles of Sawmill Branch Trail. Two-story, contemporary style home in quiet and peaceful cul-de-sac on a large lot with many trees. Thirty year architectural shingles and exterior paint are only 4 years old. The dual central climate control with new digital, programmable thermostats was installed in 2010. The interior of the home boasts fresh paint, new carpet (less than a year old), and many new ceiling fans throughout. You will love the vaulted ceilings in the living room w/ dual skylights, master bedroom and upstairs hall bath. Irongate is conveniently located near shopping, banks, restaurants, hospitals, fire station, Air Force Base and Boeing. Fantastic opportunity on this brick home on a HUGE lot in Moncks Corner! Approximately 1.00 acre convenient to both Summerville and Moncks Corner. This home features a large carport, fireplace, hardwood floors, 3 bedrooms and 1.5 baths. The eat-in kitchen has bright white cabinets, dishwasher and electric range. Don't miss this excellent opportunity! Great opportunity!! This 3 bedroom home on a corner lot offers a fenced back yard with work shop, large eat in kitchen and great room. This home has great potential. Great opportunities like this do not stay around long! ​Absolutely better than new - this home has upgrades that you just can't get anymore! Sellers are now offering a carpet allowance with an acceptable offer! This gorgeous Charleston Single style home has been lovingly cared for by the current owners and is just waiting for the right family to come along. As you walk through the front door, the first thing you'll notice are the rich hardwood floors which flow throughout the entryway, formal dining room and family room. The floorplan downstairs flows beautifully from the formal dining room into the kitchen which is open to the large eat in area as well as the family room. In the kitchen you'll find upgraded appliances, 42" cabinets, ceramic tile floors and mesagranite counter tops. Also, the refrigerator stays with the home to make it an easy transition for you! In the eat in area, there is a lovely bay window and french doors out to the screened porch. All those windows allow for the afternoon sun to pour into the large living room that is adjacent to the kitchen and eat in area. There is also a powder room on the 1st floor. Heading upstairs, you'll find 3 spacious bedrooms. The oversized master features a private covered porch and has an en suite bath with separate shower and garden tub and a nice walk-in closet. There is also a full bathroom upstairs for the secondary bedrooms to share. Heading up to the versatile 3rd floor, you'll find a great space to use as a media room, 2nd family room, 4th bedroom, or whatever your heart desires. There is plenty of closet space in the 3rd floor, and even an area that could be easily converted into a bathroom. Outside, you'll find your detached 2 car garage and a lovely, private backyard with a pond as your view. The thick woods beyond the pond really help with privacy! I almost forgot to mention that the current owners will leave the washer and dryer - which makes this house 100% move in ready! You won't want to miss this one. ​The Cary plan features a very open floor plan which provides superior flow for entertaining and the perfect utilization of space. The welcoming foyer leads to a spacious great room with vaulted ceilings continuing through to the kitchen and breakfast area, hardwood floors throughout the living areas. The spacious kitchen is a cook's dream with plenty of counter space, granite countertops a beautiful island that opens to the great room, a lg. pantry, 36 inch maple cabinets and upgraded stainless steel appliances with a fridge. This split bedroom floor plan offers extra privacy. If you are in need of that extra room you don't want to miss the finished loft automatically included in the price. The master bedroom suite is awesome with vaulted ceilings, over-sized walk in closet, his and her sinks, and a fabulous garden tub and shower combo. The home site backs up to a pretty pond with protected wetlands. Enjoy your view from the 12 x 12 screened in porch. This is a well planned master community with a lovely amenity center, pool, 2 play parks, volleyball court, 2.5 acre park site, sidewalks throughout; plenty of trees adorn the community as well as protected wetlands. Liberty Hall Plantation is conveniently located just moments from the Wannamaker Park, shopping mall, grocery stores and more. ​Cheerful and bright best describe this open and inviting home in a great location of Belle Hall. Convenient to restaurants, expressway, shopping and grocery stores. This home has been well taken care of and has been remodeled. The kitchen 3 years ago has 24,000 in renovation. New Granite counter tops,eat-in breakfast area, center island,pantry, new black Kenmore Elite smooth top stove with convection oven, Kenmore Elite dishwasher, and new sink, new cabinet doors with extra pull-outs and lazy susan,microwave and beautiful wood flooring. The separate dining room for guest is large. The great room has a wood burning fireplace and opens up to a screened porch with vinyl windows for warmth and to keep out rain. The bedrooms are upstairs. The large frog is the 4th bedroom space. The master is large and the master bath has just been remodeled with 12K in upgrades that include a garden tub with back splash, double sinks, new cabinets, shower, tiled flooring and granite countertops. All the bedrooms have either large closets or extra storage. You step outside to a fenced yard with lots of plants and trees. This home has been well taken care of and easy to show! Wood shutters in the kitchen and Master bathroom, 2 units for heat and air,sprinkler system with zones for flower beds and grass front and back yard, 2-10 warranty for buyer, and a 2 car garage!! This home larger than some with same floor plan as has bay windows in eat in kitchen and dining room. Short Sale Opportunity, Handyman Special. Nice Hardwood Floors in Living Area, Dining Room, Master Bedroom. Tiled Kitchen, Eating Area, & Baths. Vaulted Ceiling in Great Room & Master. Split Bedrooms. Separate Dining Room w/ Columns. Nice Fireplace in Great Room. Nice, Shady, Privacy Fenced Back Yard w/Deck & Cabana. Carpet needs replaced in 2 Bedrooms, Kitchen appliances are not dependable. Very well appointed executive home located in coveted waterfront community on Lake Moultrie. Approaching the home, you will first take note of the full front with tongue-and-groove cypress ceilings that is perfect for rocking chairs. Entering your eyes will be drawn to the gleaming 5" heart pine flooring accented by 7" baseboards that carry you through the main living areas of the home. Kitchen is a chef's delight featuring custom cabinetry, large center island, Jenn Aire stainless steel appliances, and granite counters. Great room with coffered ceiling is very large and opens to the kitchen perfect for entertaining. Downstairs master suite is huge with a spacious walk-in closet. Jacuzzi spa tub, double walk-in shower, ceramic tile, and his and her sinks compliment the luxurious bath. Great home in desirable Hanahan! Nice wood floors, lots of "living" space and a lushly landscaped and fenced in backyard add to this homes charm. The floor plan boasts a large family room complete with vaulted ceilings and a wood burning fireplace, spacious formal dining room, kitchen that is a cooks delight with glass front cabinets, good working space, breakfast bar and a nice eat in area. All the bedrooms are a good size with ample storage and there is a large walk in laundry room. The master bedroom is a great size with plenty of room for "extra" furniture/desk, etc., has vaulted ceilings and a large walk in closet and the master bath offers a soaking tub, separate shower and dual sinks. There is a wonderful screened in porch to relax on and plenty of room in the yard for playing. This is a beautifully maintained one story home with hardwood floors in all of the main ''living areas'' and ceramic tile in the kitchen, sunroom, baths & laundry rm. Gorgeous ''open floor plan'' with a formal Dinning Room, plus sunny eat-in kitchen. Soaring ceilings and many arches give this home great architectural interest. The split bedroom plan affords privacy for the MBR, plus the Bonus Room boasts a half bath! The MBR is spacious with vaulted ceiling and can easily accommodate king size furniture; MBR Bath has dual sinks and an over sized shower with multiple shower heads. Huge back yard! 4 bedrooms and 2 1/2 baths. 2 car garage. This home has it all. Large foyer to greet guests, an office/study with french doors, an elegant dining room, an island kitchen, Great room that is open to the kitchen, and eat in kitchen big enough to even use for Thanksgiving and a sun room too! The kitchen has Silestone counter tops with 42" upgraded cabinets along with an island work space makes this home on the top of you list. The sunroom is perfect for the parents to retreat for a relaxing cup of coffee in the morning or quite conversations in the evening. I mentioned in the beginning the back yard was "HUGE". You will be surprised just how big it is. It is perfect for everything you wanted to do when you were a kid. CUSTOM BUILT ONE STORY HOME ON CUL-DE-SAC, LARGE ENTRY FOYER WITH BEAUTIFUL FLOORS IN LIVING ROOM, DINING ROOM, FOYER, EAT IN KITCHEN. MASTER BEDROOM AND MASTER BATH HAS SEPERATE SHOWER AND LARGE WHIRLPOOL BATH TUB. HOUSE IS A SPLIT HOME WITH MASTER ON ONE SIDE AND 3 BEDROOMS ON THE OTHER SIDE, 2 HOT WATER HEATERS ONE FOR EACH SIDE OF HOUSE. GREAT LINEN CLOSETS. COVERED PORCH HAS STEREO SPEAKER WIRED AND INSTALLED, GAS LINE BUILT IN FOR GRILL, ,WONDERFUL KITCHEN, LARGE 3 CAR GARAGE WITH ADDITIONAL WORK SPACE. LARGE INVITING DEN WITH FIREPLACE AND GAS LOG. One of the most sought after locations in the Lowcountry...the Daniel Island area. The well planned Shellring community on St. Thomas Island is a wonderful, friendly neighborhood. Ride your golf cart to the banks of the Wando River, a concert at the Family Circle cup, to your local Berkeley County library, the close by Publix grocery store, or one of the other many amenities this area has to offer. This home has a gorgeous open floor plan and has been beautifully maintained throughout its ownership. it features large rooms with tons of natural light. The master suite is located on the first floor and has ample room...no matter what size or how much furniture you have. The master bath features a separate shower, garden tub and his/her vanities. Rare opportunity to have tranquility and seclusion while being close to I-26, great stores, schools and about 35 min to historic Charleston. This lovely sprawling 7BR custom built home with impressive architectural details is nestled among 9 acres of beautiful nature. This private oasis with koi pond next to preserved wetlands can be enjoyed from the huge wrap around porch, screened porch with stone fireplace or 2 story deck connecting house to an apartment with kitchen, living room, bedroom, full bathroom, and a private entrance. Inside boast lovely rooms with nature views and spaces for privacy in the library and spacious office suite. Architectural details, beautiful land and location make this a gem to see. Approved short sale! Beautiful elevated home on 1 acre of land in convenient location. On the first floor, there is custom wainscoting in the dining room and hallway, and lots of heavy trim and wide moldings. There are also wood floors in the living and dining areas and the kitchen, and ten foot ceilings for a nice spacious feel. The kitchen is gorgeous with a center island, stainless steel appliances, breakfast bar, and granite countertops. The breakfast area off the kitchen opens to the screened porch and a private side porch. The kitchen overlooks the large great room with gas fireplace. The great room opens onto the huge screened porch that partially wraps around the side of the house. The master bedroom is downstairs and features a sitting room off of it that opens onto the porch. GREAT FAMILY HOME IN EXCELLENT NEIGHBORHOOD WHERE YOUR CHILDREN CAN WALK TO ELEMENTARY SCHOOL. THIS HOME HAS BEEN RE-FURBISHED THROUGHOUT AND IS IN SUPERIOR SHAPE. SEPARATE TWO-CAR GARAGE IS PERFECT FOR THE HANDYMAN, AND THE YARD IS GREAT FOR CHILDREN AND PETS. THE HUGE FAMILY ROOM MAKES THIS HOME PERFECT FOR A GROWING FAMILY. Relax and enjoy living on Isle of Palms in this custom Craftsman style Beach Bungalow. The owners have completely renovated this home inside and out and have added 820 sq ft of living space. There is a new roof, new windows and doors, exterior and interior doors, intricate moulding and wainscoting throughout, vaulted ceilings and custom built-ins. The kitchen has custom cabinetry, a mosaic backsplash and a custom wood countertop (all stainless steel appliances convey.) The master bedroom also has a vaulted ceiling with lots of custom detail. There is an exceptional master bath with a walk in shower. Just step outside to your private yard with a mix of wonderful old oaks, palms and tropical plants. The large custom deck is a perfect place to relax and BBQ after a sunny day at the beach. Are you looking for easy access to expressway and close to shopping! This is a wonderful brick ranch home that is perfect for first time home buyers, retirees, or an investor. This is move in ready! All brick ranch with vinyl soffits for easy maintenance. Very clean and well taken care of. Oak hardwood floors throughout living room, hall and all bedrooms. Oak Hardwood floors that have been refinished. Freshly painted walls with neutral colors. Tile in the bath, vinyl in the kitchen. This house will not last in this market! !Kitchen comes with a gas stove, dishwasher and a pantry. The home features nice closet space and an extra linen closet. Where else can you find a house that also has a nice yard that is fenced with an outside storage unit and a deck for this price!!! There is an extra storage room outside where the hot water heater is and a gas dryer. There is also a washer connection inside. Air Conditioner was updated in 2001. In 2001 owner added vinyl windows. Very close to Boeing, the mall, movie theatre,shopping restaurants, airport, and expressway! Beautiful two story home which is in pristine condition. This home sits on one of the largest lots in this community. It is fully fenced and on a corner. Backs up to woodlands and a beautiful pond. Enjoy the view from your front porch or screen porch! !This is ready to go with a landscaped yard -front and back sprinkler system! Dining room is large and offers crown molding and wainscoting. Light oak hardwood floors in the great room and the dining room. Great room is spacious with a ventless gas fireplace for the cold winter nights, trimmed out with crown molding and has a ceiling fan. The kitchen offers a breakfast room, pantry, black appliances that includes a smooth top range, microwave, and a new whirlpool dishwasher. The counter tops are corian and a gemstone color which is black with white specs. Large laundry room with white Providence cabinets for storage. Kitchen and all baths are tiled. Kitchen has Providence white cabinets. The master is on the first floor and is large for accommodating large furniture. Master has a ceiling fan. The master bath has a Whirlpool jetted tub, separate shower, double sinks and double his/her closets. Upstairs are 3 spacious bedrooms and a large bonus room. New carpet and freshly painted Crown molding in bonus and hallway. Great neighborhood- Hanahan schools, grocery store, restaurant and close proximity to expressway for commuting. Home comes with a 2-10 home warranty with enhanced HVAC and Supreme Protection. Buyer to verify sq. footage, schools if important. Beautiful section at the back of Archdale is Bakers Landing. Adorable 1st time starter or great for retirement home in Charleston Park. It is the Magnolia floor plan built by KB. Owners upgraded the home with hardwood floors in kitchen, living room/dining room and hall. White appliances in the kitchen include microwave, smooth top range, and dishwasher,42" cabinets, double stainless sink, pantry, and 5 canned lights for ambiance. All bedrooms have upgraded ceiling fans. Master has a walk in closet. Master bath has a raised vanity. There is a linen closet and a laundry alcove in the hall. Smooth 9' ceilings throughout the home. One car garage has a garage opener. For tra parking, you will like the extra parking pad. Low maintenance as there is a small yard that overlooks a pond and wooded buffer. It also backs up to a cul de sac. Natural landscaped walking path through woods is 3 to 4 miles long. Great exercise! There is also a nice play park for children to play. Very convenient to shopping, restaurants, Airport, schools, Boeing and a few minutes from expressway for quick access. If schools or square footage are important, please check. Easy to show!! in style with wild life,peace and quiet. Build your dream home. This two story residential townhome currently presents an opportunity to be a part of the revitalization of the entire Shelmore Village development. This condo is the second and third story with commercial (separately owned) on first floor. 2nd and 3rd floors are 1450 square feet of residential space with 3 bedrooms, 2-and-a-half baths along with upgraded features such as hardwood flooring, crown molding, stainless appliances and granite countertops. Up the stairs to the residential (via a separate entrance) there are beautiful hardwoods throughout the second floor. The kitchen has 42" cabinets, gorgeous granite counters, stainless steel appliances and beautiful light fixtures. There is a great bar area that separates the kitchen and the dining room and the views are of the large pond and green space that is part of the HOA. Jogging trails run around the pond and connect at Mathis Ferry. Great for the outdoor enthusiast. There is a powder room on the main living floor. The top floor has a large Master Bedroom with beautiful cased in windows, a large walk-in closet and a full designer Bathroom with a deep soaking tub for relaxing after work, and double vanity. There are 2 other guest bedrooms, both with walk-in closets and a full hall bathroom. This townhome is gorgeous and has lots of upgrades and a ton of Charleston Charm. Shelmore Village is next to I'on and has several existing boutiques already including a wine shop, pilates studio, hair salon, and the Cooper River Bridge Run. Be part of a vibrant live-work community undergoing a full transformation. Residents of Shelmore Village have access to join the I'on Club membership and can walk to many great stores and restaurants in the area. Many possibilities for owner occupant or investor! Come be a part of the 'new' Shelmore Village! HOA to submeter and bill water to each unit. Power meter and electrical panels are fully separated and utilities paid by owner. This unit is unfinished at present so the new owner can pick selections from a variety of samples. they have planted which includes crepe myrtles, blueberry bushes, and nandina. upgraded with new stainless appliances including a stainless sink, Kenmore microwave, stainless dishwasher and a gas range that the owners installed. Kitchen has white custom cabinets, a pantry, and a beautiful back splash. When you enter the home there is a flex space that could be a separate living room, study or play area for the kids. There is also a separate dining room. 9 ft. ceilings down, all ceilings are smooth, cherry hardwood flooring in the foyer, kitchen, upstairs hall and the dining room. Large master upstairs has a walk in closet. Master bath has double sinks, garden tub,separate shower, and tiled floor. There is a large sunroom that overlooks the backyard. Backyard has a woods view and patio for you to retreat to for relaxing. This home is very comfortable with many spaces. It has been freshly painted on the inside, has ceiling fans in all main rooms but one bedroom, faux wood blinds throughout, some new screens, satellite dish, separate laundry,gas water heater, gas heat with spit system. Home has much to offer and easy to show!! Aug 2015 -schools system will be all Hanahan schools. Very close to I-526. Sit on the inviting full front porch on this beautiful home located just minutes from historic downtown Summerville,close to shopping and restaurants. Located in one of Summerville's fine neighborhoods where you will enjoy lots of trees and flowers and is especially beautiful in Spring and Fall. It is located on a culdesac lot and is much larger than it looks! Fenced yard with mature landscaping. Great Room has a gas burning fireplace with a mantle. It is large enough for a separate dining table. Kitchen has granite countertops, oak custom cabinets with a lazy susan, double refrigerator, Kenmore dishwasher, Smooth top stove, and a separate breakfast area. Both the kitchen and breakfast area have hardwood floors. 4th bedroom is a frog that features extra storage too. Separate laundry room with cabinets. Bahama storm shutters. Owner added a sunroom which is heated and cooled. Vaulted ceilings in the master bedroom and the Great room. Master bedroom has a walk in closet. Master bath has a garden tub and separate shower. It also has double sinks. yard is fully fenced with a large shed and a pretty fountain. Custom shades and curtains convey. dining room for the family who has that large dining set with a transom window. convey(except one set in secondary bedroom) Very Easy to show! Beautiful 3 story home on .88 acre lot at end of the cul-de-sac. This is minutes from downtown Summerville. This is a wonderful family home. Reminiscent of the homes up North with full, renovated basements as this home is located on a hill in the Low Country and has an enormous first floor. It’s the perfect room for your family to relax, watch movies, play pool, exercise or play board games. 1st floor has 2 large bedrooms with large closets. One room has been made up as a SPA room with a sauna. The small kitchenette/bar area is an additional kitchen in this space and great for entertaining your friends after a day at the pool and wonderfully suited as a mother in law suite. From the full front porch, enter thru the 2nd floor into a spacious foyer; large separate dining room featuring crown molding and hardwood floors. This is also open to the large foyer, tall smooth ceilings throughout and oak hardwood in all these areas. Great room has a gas fireplace, granite hearth and white custom mantle. There are 4 bedrooms on this level and 2 1/2 baths. Kitchen has corian countertops, new tile floors, stainless double sink, custom 42” maple cabinets featuring lazy susan and wine holder, Maytag double stainless oven and smooth top range and 2 pantries. The Master Suite has new beige shag carpet appointed with crown molding. Master bath has a jetted tub, separate water closet, double sinks, separate shower, 2 linen closets and a walk in closet. Nice size separate laundry room with built-ins. 3rd floor is a very large loft for another bedroom or flex space and would make a perfect media room. Loft has separate heat & air thermostat. Lots of attic storage. Nice covered patio off 1st floor and large back porch off family room could be screened. 2 car over-sized garage with a separate storage bay. Let’s talk about this pool! 18X36 Grecian pool with DE filtering system, water slide, water fountains, LED lighting and surrounded by cool touch decking. Yard is fully landscaped and has an electric fence. Backyard is surrounded by woods. Adorable starter home built with full front porch. Perfect for the empty nesters,investment,roommates,or small family! Wonderful neighborhood and convenient to shopping, movies and restaurants and Target. Close to I-26 entrance from Main Street(17-A) in Summerville. Very open floor plan with vaulted ceilings in Great room, kitchen and eating area. Crown molding in both bedrooms. New lighting and dimmer switches. Master has 9+ ceilings. You will love the large fenced yard with a pergola and patio for grilling out. Small garden area for growing your vegetables, Beautiful Maple tree, Curly Willow tree,Beautiful border of Wax Myrtles and a River Birch tree. Extra storage on the side of the house. Cable in all main rooms. Lovely condo in Park West. Top floor (elevator), end unit with lots of privacy. There are 2 master suites each with a full bath and walk-in closet. Brazilian cherry wood floors, tile in baths and laundry room, carpeted bedrooms. Spacious living room and dining area. Kitchen has Corian countertops and stainless steel appliances. Laundry room has washer and dryer to convey. Screened porch has access from living room and bedrooms. Located in Park West, The Battery is a GATED COMMUNITY with private amenities including club house with billiards room, theater room, work- out room with glassed in children's room (toys and plasma TV), lap pool and regular pool, grill and oyster roast area, playground, dog bath house and pet park, car wash, boat storage and walking paths. Park West has excellent schools, 2 shopping centers (Publix) and a business park. It also has a club house, pool and tennis courts. There are nearly 6 miles of bike paths. It is just minutes from beaches, many restaurants and Towne Center. Owner recently painted entire interior with neutral colors, added extra closet shelves/hanging space, roll out drawers in pantry and indoor/outdoor carpet on porch. Easy to show this immaculate home to your buyers. If square footage is important MEASURE!!! The owner has owner's title policy and can provide it to save on your buyer's closing cost. Curtains in living room convey. Satellite dish belongs to satellite company but Comcast is in the area as well. SHORT SALE! PRICED TO MOVE!! LARGE FAMILY HOME IN WONDERFUL NEIGHBORHOOD. FIRST FLOOR HAS A LARGE FOYER WHICH OPENS INTO THE GREAT ROOM WITH A WOOD BURNING FIREPLACE. OFF THE FOYER,THERE IS A LARGE FORMAL DINING ROOM WITH CUSTOM MOLDING AND AN ARCHED WAY ENTRY. THE EAT-IN KITCHEN IS OFF THE FAMILY ROOM AND HAS ALL ELECTRIC APPLIANCES INCLUDING A BUILT-IN MICROWAVE. THERE IS A NICE PANTRY AND A SEPARATE LAUNDRY ROOM. YOU WILL ENJOY THE SCREENED PORCH THAT OVERLOOKS A BEAUTIFUL POND WITH A FOUNTAIN. BACKYARD IS LANDSCAPED WITH TWO NICE PALM TREES AND A PICKET FENCE. THE LARGE MASTER BEDROOM IS UPSTAIRS AND FEATURES A TRAY CEILING AND A WALK IN CLOSET. THE MASTER HAS A GARDEN TUB AND A SEPARATE SHOWER. THERE ARE TWO MORE BEDROOMS AND ONE HAS A WALK IN CLOSET. THE LARGE FROG CAN BE A 4TH BEDROOM,FAMILY ROOM, PLAYROOM OR OFFICE. THE FIRST FLOOR HAS HARDWOOD FLOORS IN THE GREAT ROOM,DINING ROOM AND THE FOYER. THE KITCHEN HAS AN UPGRADED VINYL AND THE BEDROOMS ALL HAVE CARPET. GREAT ROOM AND ALL BEDROOMS HAVE CEILING FANS. THE HOUSE HAS EXTRA STORAGE SPACE. THE 2 CAR ATTACHED GARAGE HAS FINISHED SHEET ROCK WALLS THAT ARE PAINTED. THE INTERIOR HAS ALL BEEN FRESHLY PAINTED NEUTRAL COLORS. THE HOME IS CLEAN AND WELL TAKEN CARE OF. MOVE IN READY. IT IS A SHORT SALE AND HAS A NEGOTIATOR FOR THE BANK AND LOCALLY FOR THE SELLER,AND IS VERY FAR ALONG IN THE PROCESS. NEIGHBORHOOD HAS A POOL, TENNIS, AND WALKING TRAILS. THE NEARBY MT. PLEASANT RECREATION CENTER HAS BALL FIELDS, A TRACK, EVEN AN IN-DOOR POOL. EAST SHORE ATHLETIC CENTER, PUBLIX AND SEVERAL RESTAURANTS ARE WITHIN WALKING DISTANCE AND BEST ELEMENTARY AND MIDDLE SCHOOLS IN MT. PLEASANT ARE RIGHT IN THE NEIGHBORHOOD. HOME WARRANTY IS INCLUDED. Beautiful elevated all brick home. You will love the large full front porch trimmed with wrought iron trim. Enter into a large open foyer,A separate very large dining room for guest, very open great room with a gas fireplace with mantle and built-ins. Hardwood Oak floors throughout downstairs except baths and laundry room. Kitchen features an all Stainless GE smooth top stove,GE double door refrigerator,GE microwave and GE dishwasher. Granite countertops and lots of custom cabinets, a large breakfast room and a pantry. Laundry room has a sink. Smooth ceilings throughout home. Double crown molding throughout downstairs in main rooms and 9" baseboards. Master is large and on the main floor with a nice size walk in closet. Master Bath has tile floors, double marble sinks,separate marble shower, jetted tub and a separate linen closet. Separate study on the main floor that could be a 6th bedroom.There is a total of 5 bedrooms-master and one bedroom down and other 3 are upstairs. Beautiful Sunroom with 22 foot vaulted ceiling. In addition there is another 296 sq.ft. (approx) on the garage level that is not included in above square footage -this includes another full bath and a space with two rooms that would be a perfect workshop or office. This area is heated and cooled. There is plenty of storage in the garage. The garage holds 7 cars, and has an extra space for a 4 wheeler,riding lawn mower or a golf cart. There is re-circulation system for the hot water heater that allows you to always have plenty of hot water, A Trane Air Conditioner, A deck, sprinkler system, architectural roof, and a working elevator to take you to any floor! This neighborhood is a gated small community, very near to the new area to be developed called Carnes Crossroads, and near the new Cane Bay School and the Publix that is being built. The quality of construction is evident and the love put into this dream home is obvious. Don't miss it!! Wonderful gated community. wooded lot with well. Interior lot located on corner of culdesac. 15 minutes from Summerville and 20 minutes from Goose Creek. All kinds of growth in this area. no modular homes and no horses. 1900 sq.ft. minimum but most homes are 3000 sq.ft. plus. Middle school is under construction. This lot is partially cleared and in a gated community. Adorable home completely remodeled! !Walk into the Livingroom/diningroom combo. New Laminate (hardwood look) floors, vaulted ceiling,wood burning fireplace, new ceiling fan, wainscoting in the dining room. All 3 bedrooms have new ceiling fans. All the rooms have new blown ceilings. The kitchen features new black Frigid Aire stove with hood and New black Frigid Aire dishwasher, new lights, new tile on the floor, pantry, stainless sink and separate laundry room. Both baths have new tile, new toilets and new corian countertops. Entire home freshly painted interior and exterior. All exterior wood rot replaced, privacy fence,shed,storage room,new deck, new front porch. Existing warranty good for 12-5-2011 to 12-5-2012 will be transferred at closing. Perfect for investors or first time home buyers! Adorable home with open floor plan. Livingroom has a wood burning fireplace and vaulted ceilings. Oak hardwoods throughout the livingroom/eat in kitchen and hall. Kitchen has new black Kenmore dishwasher, and new counter tops. One story home with a loft. Master bedroom bath has a garden tub. Master has a walk in closet. New roof in 2011, screen porch, wooded buffer and fully fenced yard with stone walkway. Plenty of storage included a 2 car garage and a walk in storage compartment and another storage compartment. Interior freshly painted. Owner added wood casing on all the windows. New hot water heater. Very convenient neighborhood to shopping and I-26. Northwood Academy is within 1/2 mile of home for private school and Charleston Magnet School nearby. This home comes with a 2-10 home warranty! !